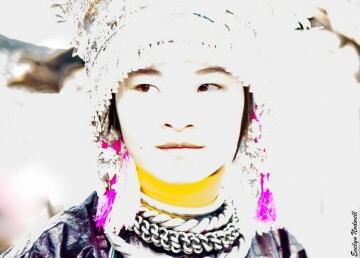 Each year, the UBC Photo Society, one of the largest student AMS clubs at UBC organizes an art exhibition featuring photos taken by members. 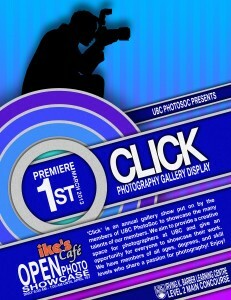 “Click” is an exhibition hosted by the Irving K. Barber Learning Centre, featuring the photography of students. The purpose and mission of the UBC Photo Society is to develop the photographer while offering the training and facilities of UBC. The society strives to give photography enthusiasts a place to meet, talk, and share ideas about photography while offering facilities and mentoring that assists students in taking their photography to the next level. 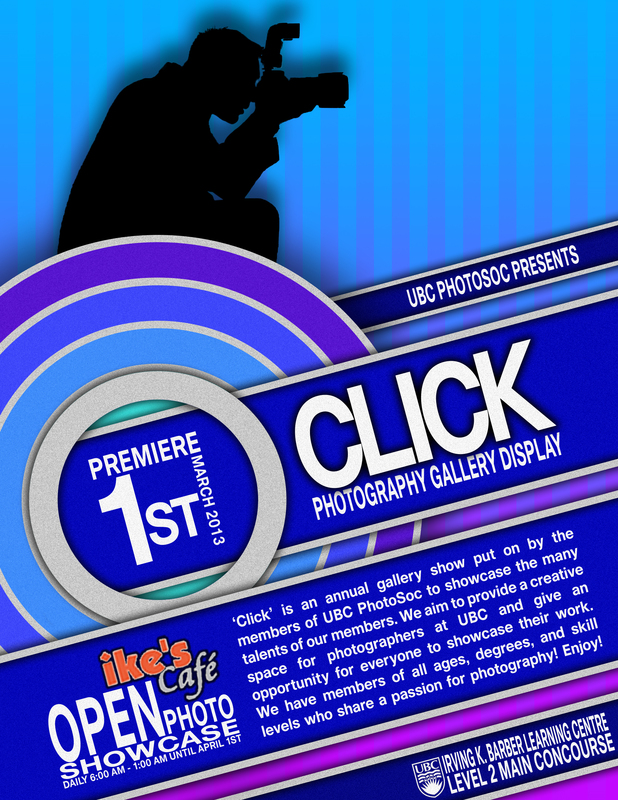 From March 1st to March 31st, photos taken by members of the UBC Photo Society will be available for viewing in the IKBLC foyer display cases and in Ike’s Café.